What information do I need to share a resource to Commons? 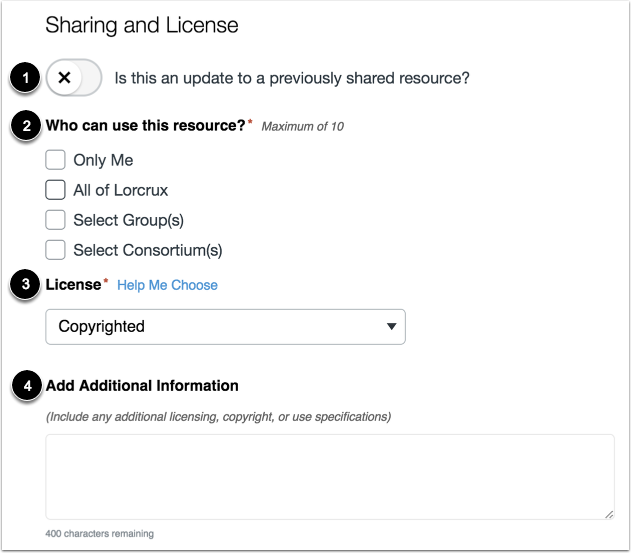 When sharing a resource to Commons, you will need to add details about the resource, select a content license, and choose a sharing option. To enable Commons in your Canvas instance, please contact your Customer Success Manager. Commons is available in all Free for Teacher (FFT) accounts. 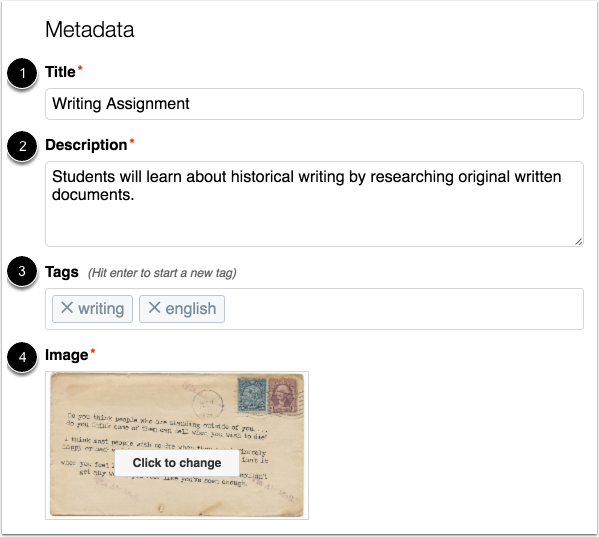 Free for Teacher users are limited to finding, importing, and sharing public resources. For best results, please make sure your course is complete and published before sharing to Commons. If the resource you are sharing will update an existing resource, click the toggle and select the resource. Learn more about updating resources. Choose who you want to share the resource with. Learn more about sharing options. Select a content license. Learn what types of content licenses are available. Add any additional information about the resource. Depending on the account settings set by your Canvas admin, you may be unable to view and/or share public content. Authors of publicly shared resources will always be able to view their resource. When updating resources, resources that are no longer in a user's scope will not appear in the user's Updates page. For example, changing the share option from your account to within specific groups. The license you select for your resource in Commons is not tied to the license that is set for the resource within Canvas course settings. Title: Edit the title of your resource if necessary. This will be pre-populated based on the resource name. Description: Enter a description for your resource. If you plan to share your resource with other users, be as descriptive as possible. Tags: Enter tags to make it easy for other users to find your resource (at least one tag is required). For example, you can add Common Core State Standard tags. Image: Select an image from Flickr or upload your own image. Images are not available for image or video resources. Select the appropriate grade level(s) using the sliders or the dropdown menus. Previous Topic:How do I view updates to resources I previously imported from Commons? Next Topic:How do I add a thumbnail image to my shared resource? Table of Contents > All Users > What information do I need to share a resource to Commons? Re: Upload a file to more than one course?